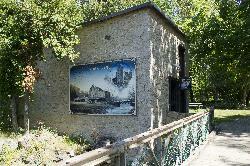 Information Sign at Indian Falls. 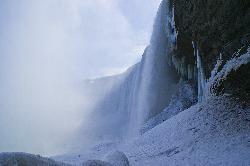 Along the Niagara Escarpment near Owen Sound Ontario. 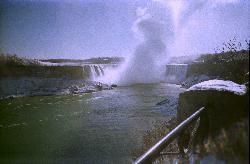 Photo of Indian Falls taken at a faster shutter speed of one four hundredth of a second. 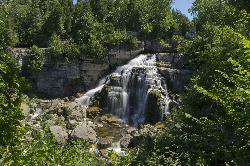 Inglis Falls is located near Owen Sound Ontario. 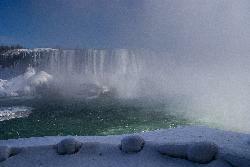 This photo show a longer shutter speed and smaller aperture to get a smooth waterfall effect. 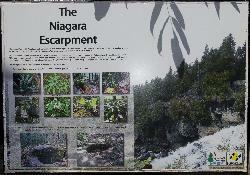 Poster at Inglis Falls information booth describing the creation of the Niagara Escarpment, as well as some of the flora in the area. Including Bloodroot and Maidenhair Fern. 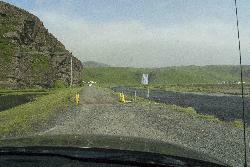 is between Landmannalaugar and Kirkjubæjarklaustur along 208. Sheep grid prevents sheep from crossing boundaries. 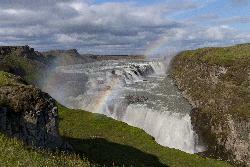 Sign at Skogafoss Iceland showing the past of melting water from the glacier Myrdalsjokull to the water falls. 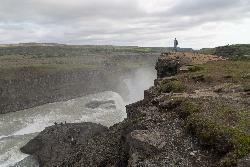 Photo of Skógafoss (Skogafoss water falls) with person near the falls to give perspective of size. 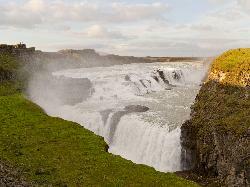 Skogafoss translates to Forest Falls. 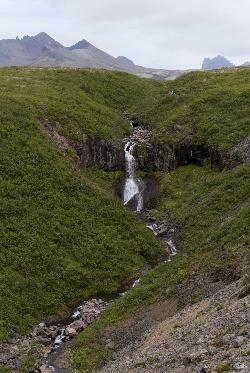 The Svartifoss waterfall as viewed from a trail in Skaftafell National Park. 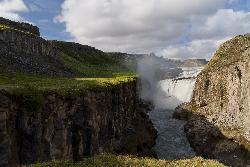 Known for the Basalt columns that line the back of the waterfall. 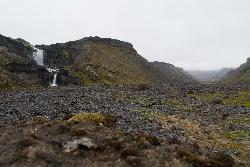 View of Midfell in horizon.